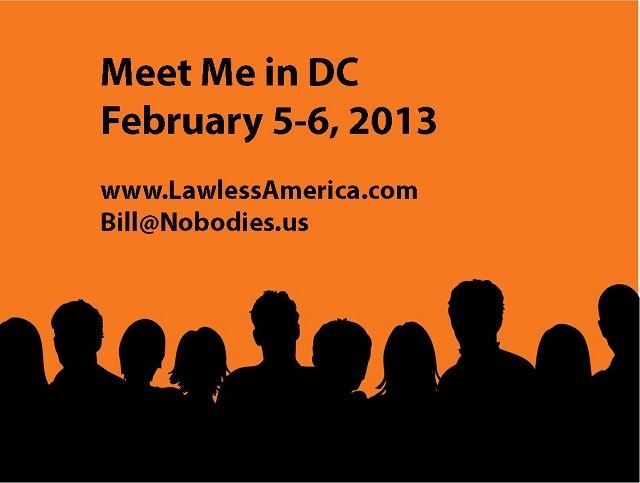 Preparations are nearing completion for Meet Me in DC. 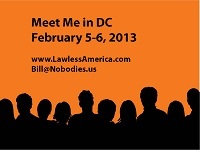 February 5-6, 2013 in Washington, DC. This will be a historic event and a special opportunity for you to meet with hundreds of victims and people filmed for the movie. An Index has been added to the upper right hand corner of every page on www.LawlessAmerica.com to make it easy for Congress, their staff members, and all elected officials and government employees to find the testimony that is important to them.